We’re happy to look after everyone at The Grove Experience, no matter what their age. A good haircut and a pleasant experience should not be dependent on how old you are and it’s never too young to start. For those aged up-to-2-years-old, we are happy to set them on the right road for free. For those aged 2-15, you can choose your designer and also choose to have the hair dampened down or washed. For students, aged 16-18, we offer special prices to fit their budget. So, no matter what age you are, The Grove Experience will look after you. All prices are calculated based on time booked/taken for the service. You can also choose to have your child’s hair washed and dried or just damped down.You can use our menus to bespoke your service. 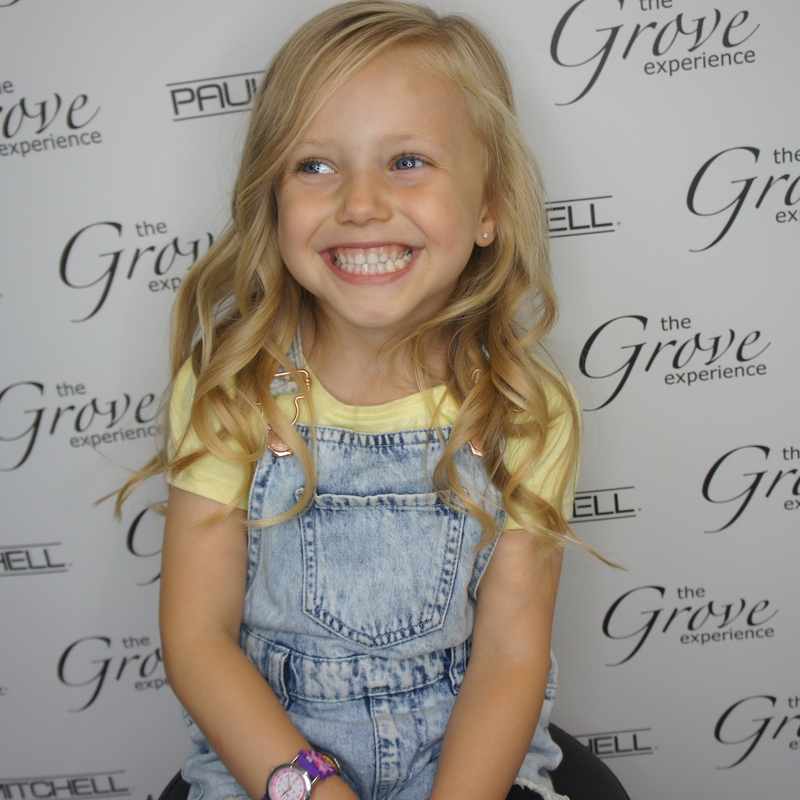 Childrens haircutting prices with the Salons creative Directors from £26.00 ranging down to £10.00 with our Graduate stylists – we offer many price levels in-between. Please call our reservation team to get more information and a full price quote on 01323411852.